After last weeks record-breaking week along The Pacific Ring Of Fire, we have yet another major quake in the busy month of January. 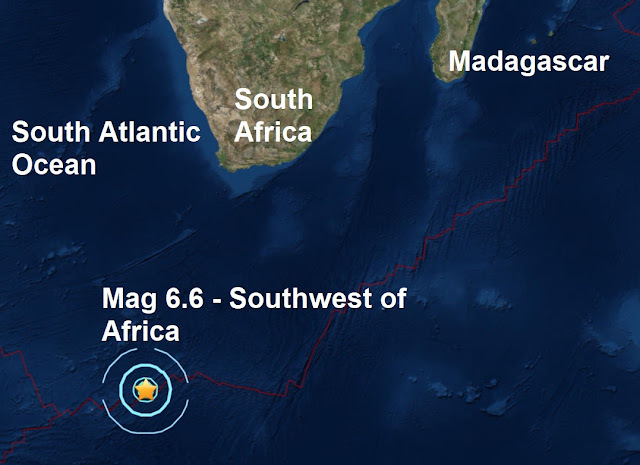 A mag 6.6 - Southwest of Africa is the 11th major quake of January and of course 2018. 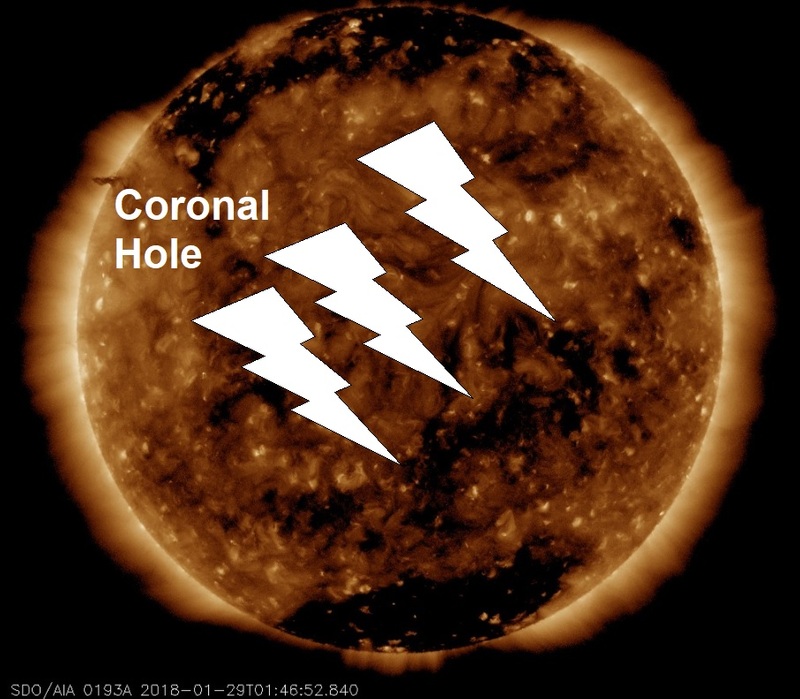 And with Spaceweather.com reporting the sun is leaking solar wind from a peppering of small coronal holes now facing Earth, see pic below, this would imply an impressive 11 from 11 major earthquakes this year have occurred during solar wind and or a coronal hole influencing the Earth's magnetosphere. It is a Big Wobble project this year to document just how many major quakes occur during a coronal hole facing Earth, so far so good, it's 11 from 11, 100 %. Dutchsinse is the man for this.